Keeping horses comfortable and sound can be a complicated and often times stressful process not only for the owner, but also for hoof care professionals. The author started her learning journey out of personal frustration with these issues. 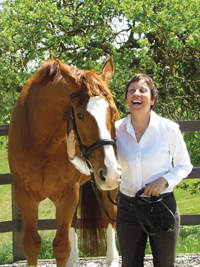 Her goal was initially just to find solutions for her own horses. Eventually her hoof research provided results applicable to every horse. A must for anyone (owners, trainers, trimmers, farriers, and veterinarians) wishing to be well-versed in the hoof, readers will without a doubt gain new insights from this book on topics not found in other hoof related publications. 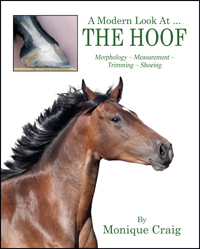 This book is a new look at the hoof, focusing on a detailed look at its morphology (shape) and function, and discussing implications for how the hoof should be trimmed and cared for. The information is backed up with the presentation of accurate measurements from thousands of horses’ hooves, as well as examples painstakingly collected over the author’s 20 year involvement with trimming the hoof. This book contains over 300 color images, many with measurements and annotations, and will be an excellent addition to your hoof care resources.